The webinar I will be doing for Kiplinger.com (see last post below) is part of a Wealth-Building Web Conference Series. The cost is $29 per conference. 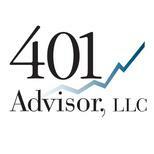 If you are a client of 401 Advisor, LLC or Fund Trader Pro (our online 401(k) management service) just send me an email after viewing the presentation and the $29 will be refunded via a fee reduction during the next billing quarter.